Even for people with bad credit there are many ways to get approved for the best used car loans when trying to buy a new or used car. 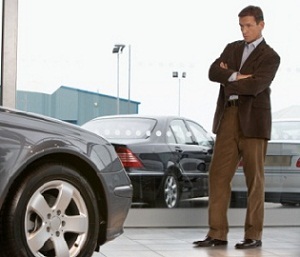 One of the best ways is to apply online for auto loans with bad credit scores from a lender like AutoNetFinancial.com. Most used car websites have instruction on how people should go about applying for the best auto financing with a bad credit score listed on their site. Then there is AutoNet Financial which allows you to go online and qualify for car loans in your area in a matter of minutes. When applying for the best auto loans online have some of the following info ready. When buying a used vehicle with low credit make sure to perform some used car research. When trying to get the best deal while financing a car with bad credit auto sales don't be surprised when the interest rate on your auto loan will be substantially higher than if you had a better credit score. Protect your investment, ask the right questions, too many questions are left unasked prior to stepping onto a used car lot. How often do you drive long distances? How important is having good gas mileage? How much extra storage room will you need? And what about passengers, do you often find yourself as the neighborhood taxi service? Have you had trouble getting approved for auto financing before? Our goal has been to help people with very bad credit get auto loans to help them buy a local used car for sale. Getting approved for an online auto loan is not too difficult. The application process is simple and only takes a few minutes to complete.